Excited to welcome Amanda Stevenson to the blog! She is our Fertility Yoga Instructor for the 6 week Fertility Yoga Series. To orchestrate excellent health, we must look at ourselves as WHOLE. This includes Mind, Body and Spirt. Conditions or disease do not discriminate between these 3 bodies and will manifest when there is imbalance. Think of a 3-legged stool, if one leg is broken the stool will be off balance. Exploring our Chakras can help you dig a little deeper, help you work through any dis-ease you feel in the body and align it with your mind and spirit. You probably have heard this word get thrown around in yoga classes or funny spoofs online. The Chakras are the energy centres of the body. Chakra means “wheel” or “vortex”. There are seven Chakras located as invisible energy centres from the base of the spine up to the top of the head. Each Chakra has many characteristics, are represented by different colours (think of the colours of the rainbow), sound frequencies and govern different organs and emotions. Tapping into the body and understanding where the imbalances are, you can restore balance and harmony for better health and well being. So, as you can see each energy centre ties into our physical, emotional and spiritual bodies. 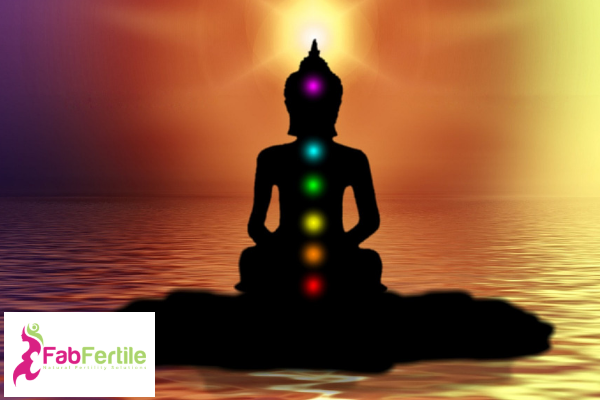 How can you use the chakras to help with fertility? Your body is constantly sending you messages. The question is, how often do you listen? Take a few moments and ask yourself? How do you feel daily? Where do you feel pain or irritation? What are your symptoms? How do you feel emotionally? Do you cry? Get angry? Feel scared? How do you react to situations? By simply listening to what your body needs, you will notice sensations through emotions or pain in your body as an indication of how you feel or where you feel pain. There are numerous ways to balance and restore your Chakras, but a great place to start is with Yoga. Yoga postures and breathing techniques can offer balance to your Chakras as it enhances Prana-our life force energy that carries us day to day. Through gentle stretching and movement, you will unblock stagnant energy in various areas of the body and through deep breathing and gentle meditation, you can find connection to something greater than yourself. As you practice, each day unfolds into something new. Every time you find yourself restless or agitated, get out your mat and explore the mind-body process. Even if you only have the strength to lie in complete stillness. Use your mat as a place to find comfort and peace. Check out our 6 Week Yoga for Fertility Series to learn stretches and breathing techniques that will enhance your fertility and bring peace on your journey. Need support? 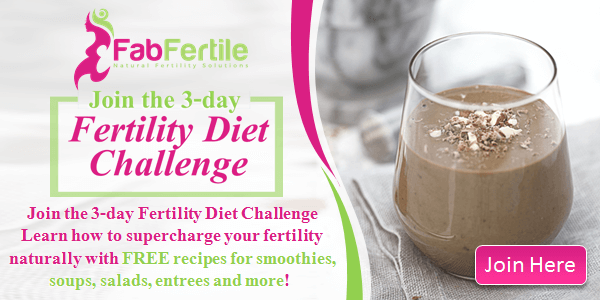 Book your FREE Supercharge Your Fertility Discovery call here! Learn simple strategies that can help you prepare your body for a baby! Sarah Clark empowers couples to discover how lifestyle and diet can dramatically impact their chances of conceiving. She was diagnosed with premature ovarian failure at 28 and had both her kids with donor eggs. Not until years later did she discover that the root cause of her infertility was a food intolerance. Join the Free Fab Fertile Support Group on Facebook for mini-challenges, motivation and inspiration! Don't forget to check out my Resources page for more information and products that will help you on your journey to getting pregnant. This page may contain affiliate links to products. We may receive a commission for purchases made through these links.